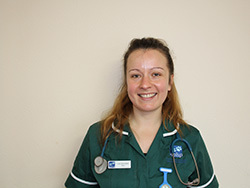 Lisa is a Registered Veterinary Nurse who qualified in 2018. She completed her training here at The Pet Health Partnership. Lisa owns a horse called Bella and a cat called Nala. She enjoys competing her horse in one day events and hunter trials and enjoys long dog walks with a cheeky springer spaniel!